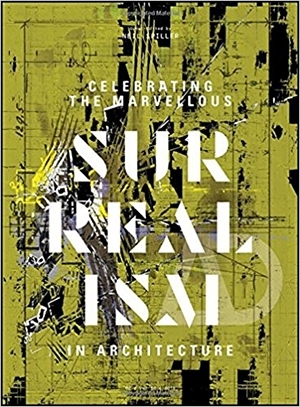 A complementary exhibition to Future Cities 7 ‘Atmospheres”, presenting international architectural work featured in the current issue of Architectural Design: “Celebrating the Marvellous- Surrealism in Architecture”, guest edited by Professor Neil Spiller and published at the end of March 2018. We are entering a new era of architecture that is technologically enhanced, virtual and synthetic. Contemporary architects operate in a creative environment that is both real and digital; mixed, augmented and hybridised. This world consists of ecstasies, fears, fetishisms and phantoms, processes and spatiality that can best be described as Surrealist. Though too long dormant, Surrealism has been a significant cultural force in modern architecture. Founded by poet André Breton in Paris in 1924 as an artistic, intellectual and literary movement, architects such as Le Corbusier, Diller + Scofidio, Bernard Tschumi and John Hejduk realised its evocative powers to propel them to ‘starchitect’ status. Rem Koolhaas most famously illustrated Delirious New York (1978) with Madelon Vriesendorp’s compelling Surrealist images. Architects are now reviving the power of Surrealism to inspire and explore the ramifications of advanced technology. Architects’ studios in practices and schools are becoming places where nothing is forbidden. Architectural languages and theories are ‘mashed’ together, approaches are permissively appropriated, and styles are not mutually exclusive. Projects are polemic, postmodern and surreally media savvy. Today’s architects must compose space that operates across the spatial spectrum. Surrealism, with its multiple readings of the city, its collage semiotics, its extruded forms and artificial landscapes, is an ideal source for contemporary architectural inspiration. Future Cities 7 is the seventh AVATAR (Advanced Virtual And Technological Architectural Research) conference and exhibition hosted by the Department of Architecture and Landscape at the University of Greenwich. It builds on the success of the previous six Future Cities, which have been international, cross-industry, multi-disciplinary events. Each year they explore pressing architectural issues related to the challenges faced by megacities, the architectural discipline and pedagogical challenges in an increasingly technologically advanced, yet resource-constrained world. This year the theme centers on ‘Atmospheres” and asks what conflicts in architectural and urban design offer and how it is possible to work with such tensions creatively. It also raises questions about how we may deal with the nature of ecology, urban environments and an increasingly global society – which are all composed of many different, often contradictory bodies. 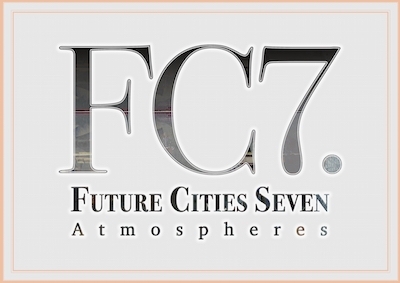 Future Cities 7 is the seventh AVATAR (Advanced Virtual And . . . This year the theme of the conference will center on . . .